NEPHITE EXPLORER ON AIR IN UTAH! Nephite Explorer TV is premiering on KJZZ channel 14 in Utah and parts of Idaho and Nevada Sunday APRIL 7TH at 6:30 in the evening. It is an action packed weekly travel journalism and adventure show diving into scriptural history and prophecies about latter day America. We’ll be running investigations from locations around the world and many right here at home. 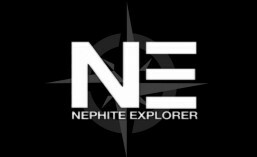 Follow The Nephite Explorer Project on Twitter, facebook or subscribe to updates by email with the links on the right side of the page.